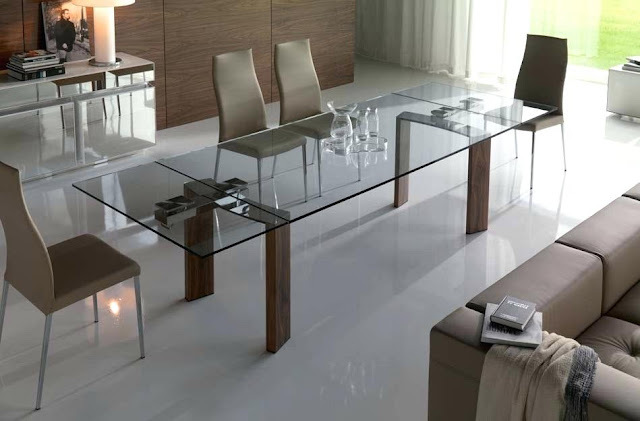 Our glass dining tables are made with high quality materials to offer you a contemporary stylish piece for your home. A glass dining table offers a crisp, elegant simplicity which allows you to enjoy everyday meals to special occasions. Our range is varied with something for all tastes. We are manufacturing the high quality glass dining tables and other items of furniture. For our glass items we use high quality tempered polished glass for safety and longevity. The glass table tops can be made in clear, smoked or starphire glass (ultra clear glass with no green tinge). We are offering a wide range of mirrors and antique mirror finishes. You can choose from regular and custom shapes. You will notice that all of the glass dining tables in the range are of a glass-only construction. The modern glass dining table is considered to be the most important center piece in the living room and to make an impressive interior design statement there can’t be any better material than glass. Contact us at Custom Made Glass Furniture and get the furniture you'll like.